Days are getting colder, evenings are getting darker earlier, and the countdown to Christmas has begun...Once again it’s time for those crisp evenings which leave the majority of us loving those cosy, winter moments. From huddling in snug jumpers in front of the TV to that ever-so-soft feeling of slipping into fresh, clean bedsheets straight out of the tumble dryer, here at Beko, our tumble dryers are the official partner of your favourite winter moments. 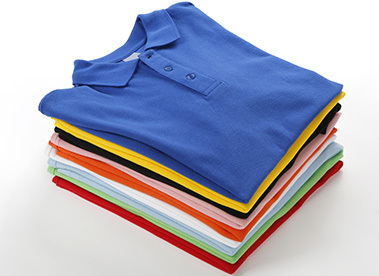 Keeping your clothes dry and in top condition does not have to consume a great deal of energy. A range of our tumble dryers come fitted with Heat Pump technology which works hard to care for your clothes and the environment at the same time. Using a closed loop heat exchange system, tumble dryers with heat pump technology use a lower temperature to dry the laundry load, which is a great way to help you to save energy when compared with standard condenser dryers, as well as help to provide better protection for your clothes. 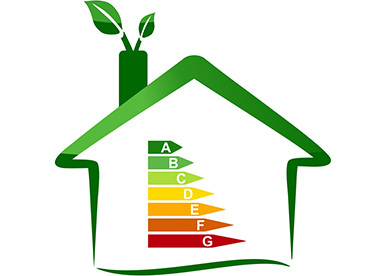 And, the EcoSmart models in our tumble dryer range come with an excellent energy rating: up to A+++. Tumble dryers may not be the smallest of your household appliances, but in colder months they can feel like the most essential. Some of our heat pump tumble dryers in 7kg capacity offer reduced depth, which other manufacturers do not, to make installing into your home as simple as possible. Because we know installing your tumble dryer depends on the decoration and style of your home, we also offer a range of black, red, silver, and white tumble dryers to suit all household preferences. And even better still, on some of our models the door can be easily reversed thanks to the new hinge and door design. This way, you can open the door from either side – for ultimate ease of loading and unloading. 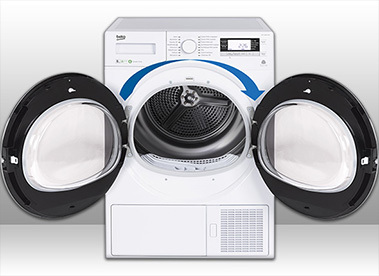 Beko’s tumble dryer technology makes it easy to stay comfortable in the winter. Most of our models offer sensor drying programmes which identify the levels of moisture in the drum and automatically stop the load when the desired level of dryness is achieved. Not only does this feature help you to save time and money on energy bills, it also keeps your clothes warm and dry and protects them from over-drying making them the official partner of caring for your favourite outfits. 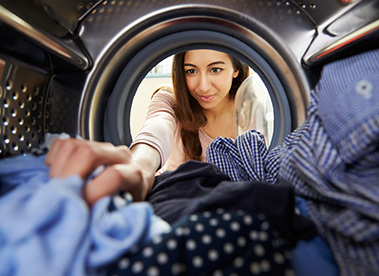 Seeking the warm and dry feeling from clothes fresh out of the dryer shouldn’t mean your energy bills need to suffer. 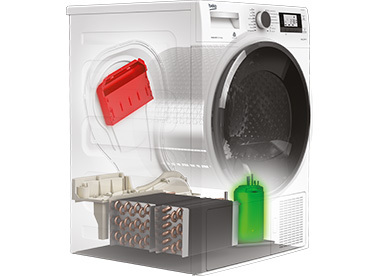 This is why the RapiDry feature on our DPH8756W tumble dryer combines heat pump technology with a conventional heater. Not only does this give you the option to dry your clothes in an energy-friendly way, at A+++ efficiency, but you can also use this feature to significantly reduce drying times at a slightly reduced A+ efficiency. This is how the RapiDry feature offers faster drying times than condenser models whilst maintaining energy efficiency. Not only does this give you the option to dry your clothes in an energy-friendly way, you can alternatively use the RapiDry feature to reduce the drying duration at a reduced A+ efficiency. So, when using RapiDry you can get drying times that are quicker than condenser models but are also more energy efficient. We all have more important things we could be doing rather than waiting for our laundry to dry. All Beko tumble dryers have an automatic anti-crease feature to keep your laundry crease-free until you’re ready to unload. The drum rotates periodically after a cycle has finished (for up to 2 hours), which separates the laundry to help reduce the creases in clothing so that it is ready when you are. A tumble dryer is the perfect appliance for all household sizes, with some models offering a 9kg load capacity. 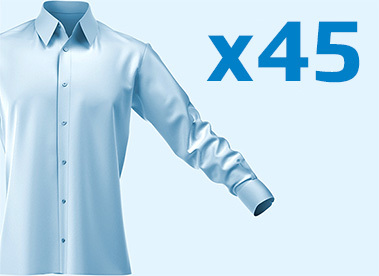 This enables you to dry more at once, even up to 45 men’s shirts in one cycle, saving you time and money. Better still, a range of our tumble dryers also feature a large door opening, making loading and unloading the tumble dryer even easier. Not feeling overly keen on leaving the warmth of your bed when your alarm goes off? Whether it’s wrapping up in a toasty, fluffy towel after your morning shower or snuggling up in a dressing gown before bed, feeling dry this winter does not just stop at snuggly clothes.